Andy M. Spencer joined the Arthur Valve and Fitting Company in 1987 as a salesperson in San Antonio, Texas. He was named Corpus Christi Area Sales Manager in 1991 and Branch Manager of the Corpus Christi office in 1993. 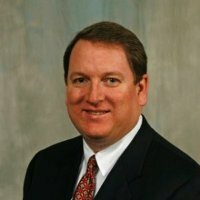 Andy was appointed as the Austin Systems Manager in 1995, and moved back to San Antonio as the Branch Manager in 1997. Two years later, 1999 brought the responsibility of Arthur Valve and Fitting General Manager; a leadership role that encompassed all three branches of Arthur Valve and Fitting. In January of 2002, Andy took over ownership and renamed the company Arthur Fluid System Technologies. In February of 2010, Andy sold the business and began pursuing new interests in consulting and commercial real estate. Engedi Group is a consulting business that focuses on helping organizations and non-profits flourish in today’s world through consulting, fund-raising, training, volunteering and coaching. Andy currently consults with businesses on sales, sales management, value selling, organizational structure and small business management. Andy also consults with non-profits on fund raising, accountability, organizational structure and coaching. Andy also volunteers at several local outreach organizations. Andy is continually educating himself and others in areas ranging from basic selling skills to efficiency training, change management and team building. Andy has spoken to classes at Baylor University, Emanuel Baptist University in Romania as well as industry conferences. Mr. Spencer received a BBA in Entrepreneurship/Marketing from Baylor University in 1987. While at Baylor, Andy served as the Mascot from 1984 - 1987 taking the mascot program from a promotional character for Wendy’s Hamburgers to a member of the Baylor Spirit Squads. Andy competed with 40 other mascots in the summer of 1986 at SMU and was given the "Best Mascot Award" at that competition. He currently serves as a board member for the Baylor Bear Foundation. Andy serves as a Deacon and the Men’s Ministry Coordinator at Great Hills Baptist Church in Austin, Texas. Andy is also the Chairman of the Board for the Austin Pregnancy Resource Center. Andy coaches two non-profits; Ascend Outdoor Adventures and Enlightened Warriors Boot Camp. Andy is on the board of the Don Whitt Evangelistic Association. Andy’s family includes his wife Kathy and two daughters Deanna and Andrea. They live in northwest Austin and are active in church and community activities.